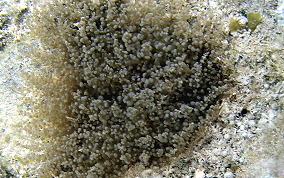 This small 3-4 inch across sea anemone is more toxic than the Corkscrew Sea Anemone, so be careful. 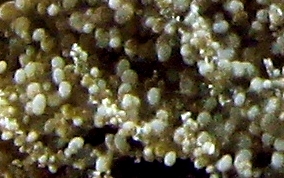 Since they a about half the size of the Corkscrew Sea Anemone, it is not observed as often. They inhabit recesses in reefs and coral rubble areas. They are also more skittish and will react instantly if disturbed. They can be greenish brown or brown or gray.